The basis for the hit anime about a lovable brat in a hamster suit, in English at last! In public, Umaru Doma appears to be the perfect high school student: hard-working, refined, and totally responsible. But the minute she gets home to her older brother Taihei--and dons her famous hamster hoodie--she devolves into the ultimate bratty little sister! She’s happy to roll around all day in an otaku cloud of games and junk food while her exhausted older brother takes care of everything in the house. 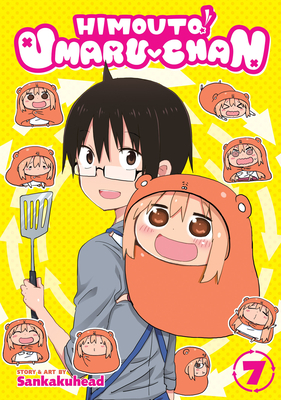 In this hilarious comedy about family, friendship, and the nonsense we put up with (from the people we love), Umaru and Taihei will find a way to make it work! Sankakuhead is a Japanese manga creator best known for the series Himouto! Umaru-chan.